A rusty tram clatters past us. An uninterrupted line of cars slowly moves along Leó Frankel Street. Businessmen in dark suits hurry to their desks. Women in high heels walk carefully on the cobbled pavement. Between the houses, the ferries on the Danube can be seen, drifting past the Isle of Margaret that divides the town. We are in the middle of the Budapest morning rush hour. Our team attracts attention from passersby. We are carrying a van load of diving bottles and boxes through a narrow iron gate. The stone wall next to the cave is soon covered by diving equipment. Molnár János is one of the most extraordinary natural cave systems in the world. It is something even most of the city’s inhabitants do not know about. The cave stretches out below the metropolis, within the depths of an inactive volcano. Budapest is known for its spas. Their water originates from the volcanic earth. One of the most well-known springs is Malom (mill) Lake. The name lake is a slightly grand definition for a pond that becomes eutrophic in the summer. After a few hundred metres, it flows to the Danube. 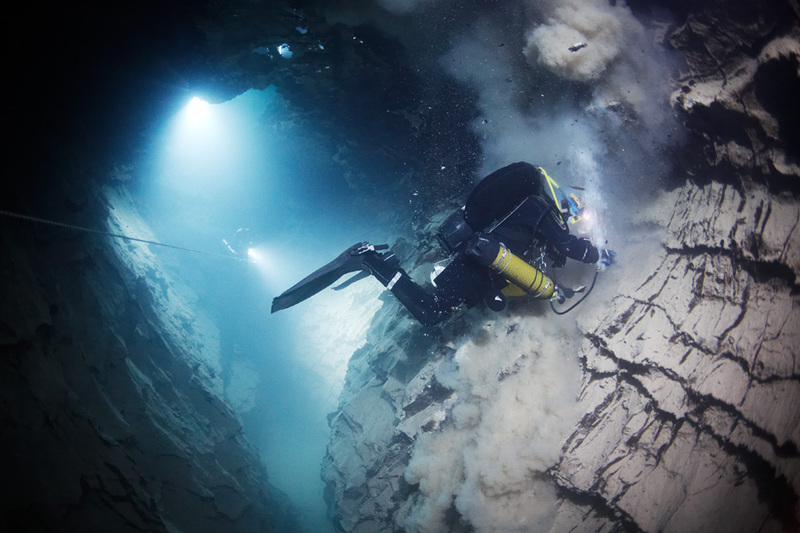 The lake was already known during the Ancient Roman period—divers have found Roman constructions at the bottom of the pond. The dry cave of Molnár János begins a few metres above the surface of Lake Malom. 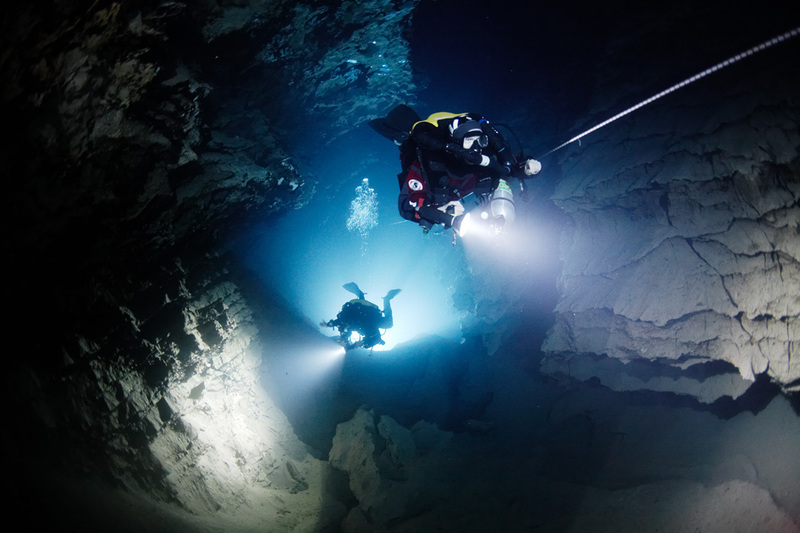 Divers enter the cave through a spring, the mouth of which is at a depth of four metres. The earliest information about the caves is from 1858. János Molnár, a pharmacist, investigated the dry areas of the cave and analysed the water of the spring. He examined the healing effects of the water. 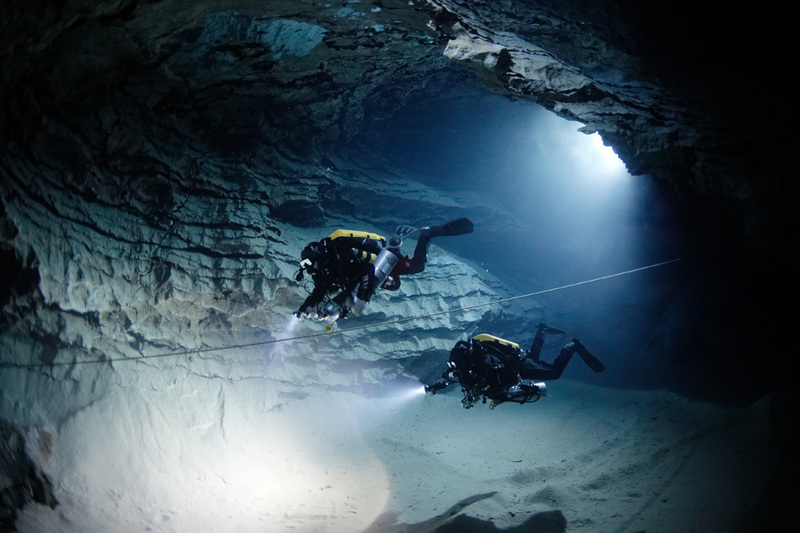 The cave was first dived in the 1950s. The charting began in the early 1970s. 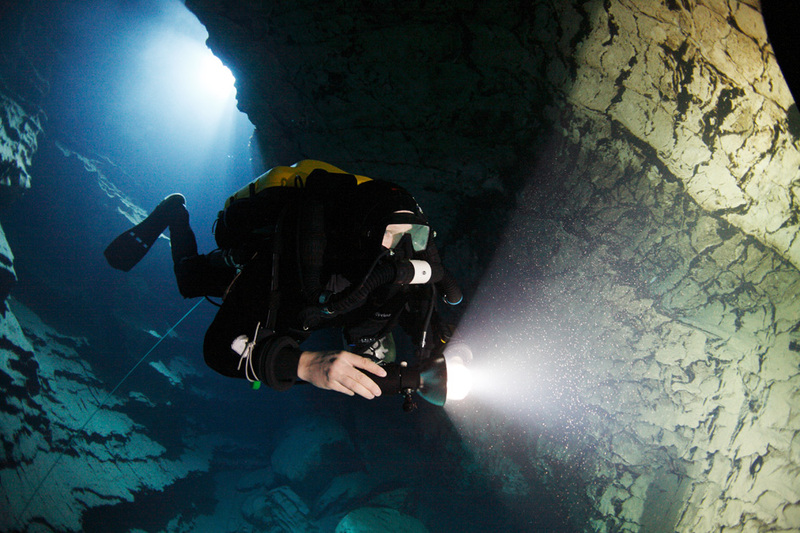 For over 30 years, divers only dived in the old part of the cave, which has 480 metres of tunnels. 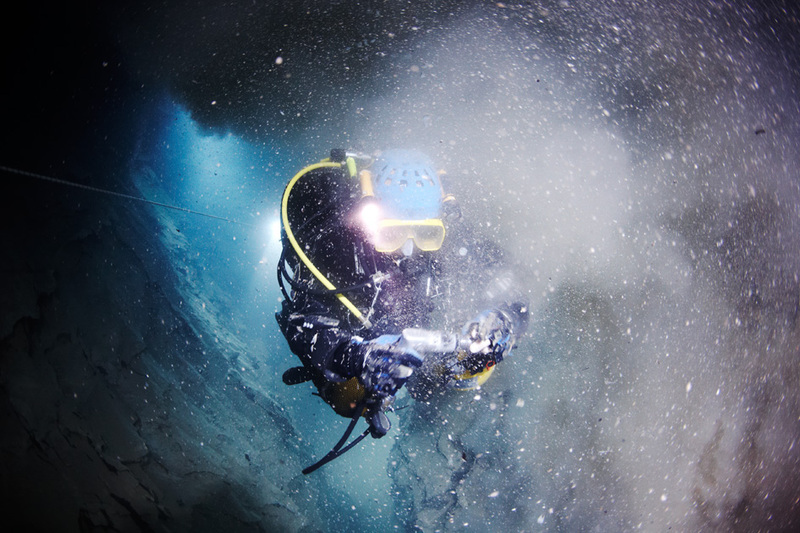 Zsolt Gyurka is a local diver who plays a central role in the recent history of Molnár János. 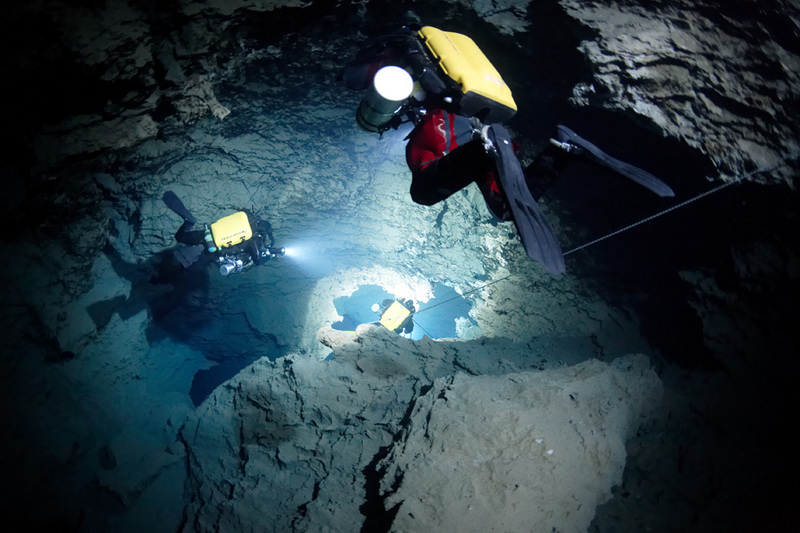 Without his perseverance, the largest part of the cave might still not have been found. The old cave was the only known part of the caves until 2002. 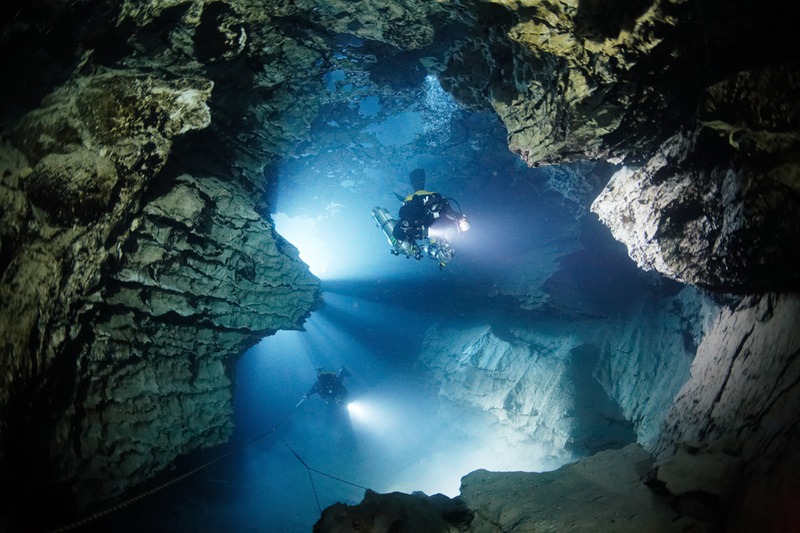 Like many other divers, Zsolt had been diving in the cave for years before he started to pay closer attention to one of the cave’s walls. It was warmer than the others, almost hot in fact. There was something interesting behind the wall. Zsolt began to carry a pneumatic drill with him. He managed to make a hole into the wall so that he could peek through it. There was crystal clear water behind the wall. And there seemed to be a lot of it. A slow and nerve-racking charting began. Metre by metre Zsolt pulled the guiding line into the cave. He charted one tunnel after another, and today over five kilometres of the cave is known. The delicate environment presents an even bigger challenge than the distances. 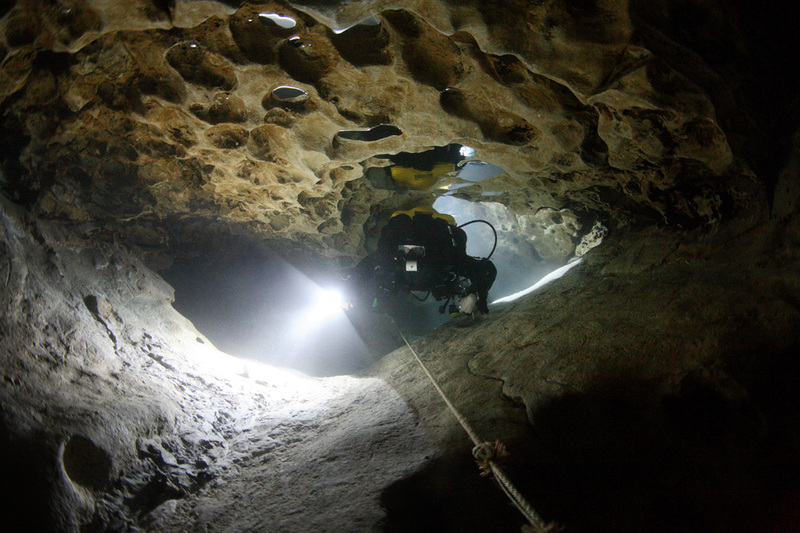 Compared to typical limestone caves, it is really difficult and time consuming to attach the guiding lines in Molnár János. It is difficult to attach anything to rock walls that have been softened by acidic water. There are also no rocks in the cave around which lines can be tied. Drilling holes for the bolts destroys visibility in a moment. Today, over five kilometres of the caves have been explored. The biggest charted hall is over 80 metres long and 16-26 metres wide. In this hall alone, there is over 23,000 cubic metres of warm water. If an ordinary kitchen water tap was installed at the bottom, it would take four and a half years to empty it. There are hundreds of these halls in the caves. Drilling in the surroundings of Molnár János has revealed that there is a network of many caves crisscrossing between 150 and 250 metres deep underground. 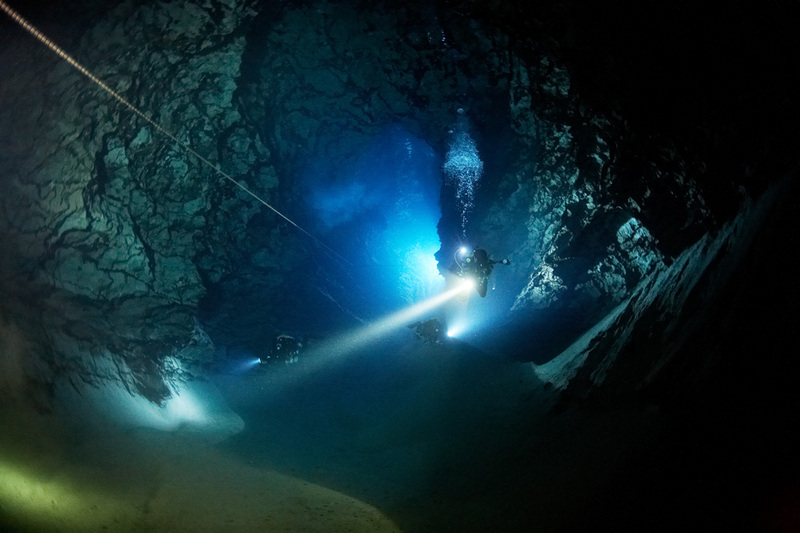 The tunnels of Molnár János continue towards the depths, but so far, divers have only reached the depth of 75 metres. Molnár János would be even more extensive, had the moving earth not cut the tunnels off in many places. The caves almost certainly continue behind places where the fault lines have blocked the way, but they have no entrances. 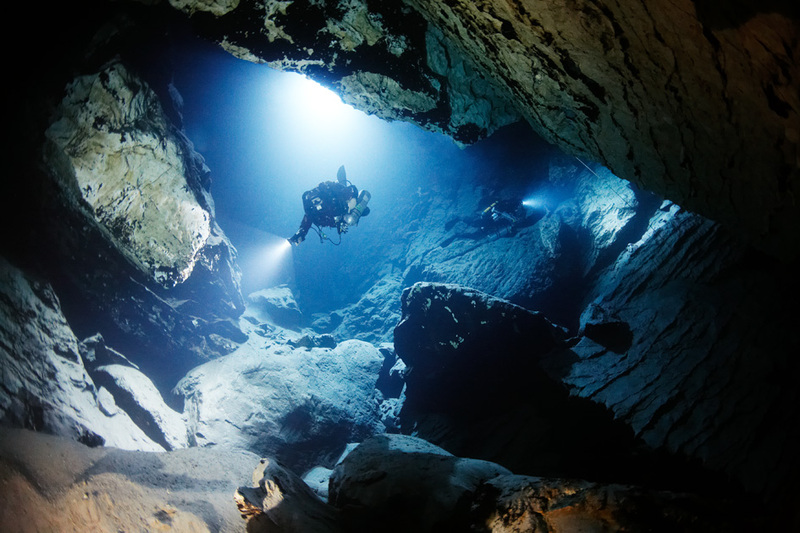 There are several caves in the surroundings of Molnár János, but most of them are not suitable to dive in. They are either too hot or too confined. Budapest’s limestone earth developed during the warm and humid Eocene period approximately 30-50 million years ago. The first animals like present-day mammals also developed at the same time. Hungary is bordered by the Carpathian Mountains in the east and the Alps in the north. The rising Alps lifted the Buda mountains with them. The ground plate of the Pannonian plain sank eastwards. The ground cracked along the collision line of the mountains and the plain. Ground displacements can also be seen in many places in Molnár János, where the cave ends, as if it had been cut with a knife.